Christmas is approaching. It's time for holiday cookie baking. 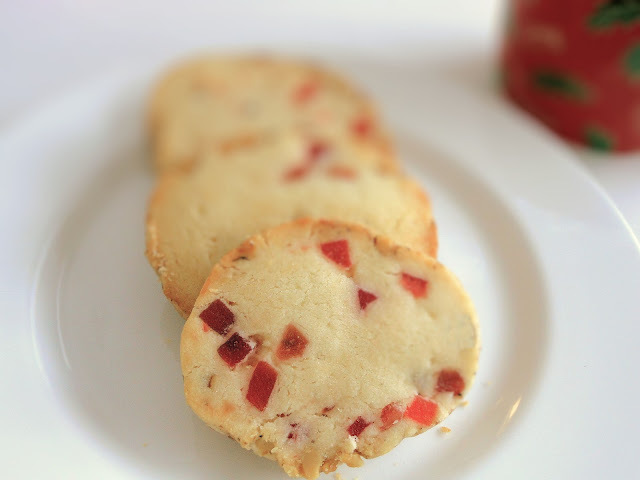 Shortbread cookies are one of my favorites in my holiday cookie recipe collection. They are easy to make, and are perfect for gifts. Sift flour and salt together. Set the flour mixture aside. Add icing sugar and continue beating. Scrape down the sides of the bowl with a spatula. Add flour mixture into the butter mixture. Beat until dough becomes smooth. Divide the dough in half. Transfer each dough to a plastic wrap and shape it into a log about 1 1/2 inches in diameter. Wrap the logs in the plastic wrap and refrigerate for about 2 hours. Cut the logs into 1/4 inch thick slices and place on a cookie sheet lined with parchment paper. The cookies look beautiful. Did it take a lot of time to prepare the whole lot? Thank you, Jacq! No, as I make these cookies quite often. The recipe is already in my head. 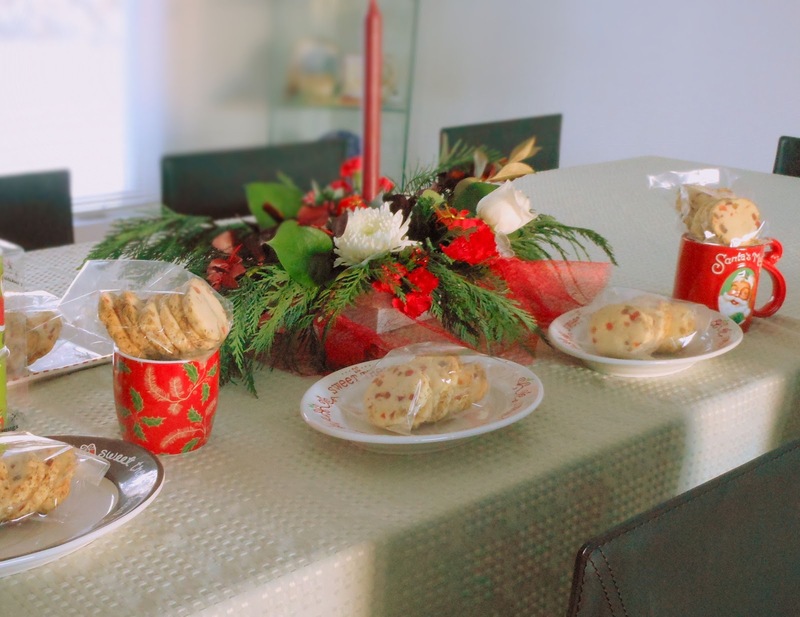 I love shortbread cookies! What kind of dried fruits did you use? Looks so cute and delicious! Happy New Year!